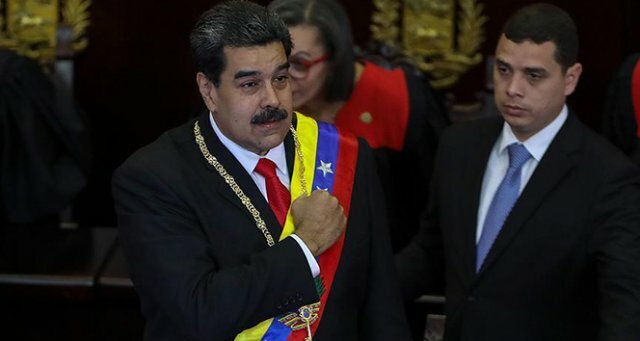 Venezuela's President Nicolas Maduro Saturday proposed an early election for the National Assembly, which was previously scheduled to be held in 2020. Maduro's announcement came amid the rally of United Socialist Party of Venezuela held in capital Caracas, which marked the 20th anniversary of Bolivarian Revolution realized under the leadership of late Hugo Chavez. "Parliamentary elections will be held to [determine] the National Assembly this year," he said, adding that it would be a free and guaranteed election. In addition, Maduro said that the Constituent Assembly currently worked on a draft law to combat corruption. Tension climbed on Jan. 23 when Juan Guaido declared himself interim president. Guaido called fresh protests on Saturday to demand Maduro to cede power after a week of sporadic mass protests. The last round of demonstrations took place Wednesday. The U.S., Canada and most Latin American countries have recognized Guaido, the National Assembly president, as the legitimate leader of Venezuela, but Maduro has so far refused calls to step down. He has accused the U.S. of orchestrating a coup against his government but said he is open to dialogue with the opposition, but not new national elections. Russia and China both opposed the U.S. call to support Guaido, and condemned any international interference in the affairs of Venezuela. Turkey and Iran have also put their weight behind Maduro. The U.S. has led an international campaign to apply economic and diplomatic pressure on Maduro, including sanctioning the country's state-owned oil company and a joint venture with its Nicaraguan counterpart. It has warned of grave repercussions if Guaido is harmed.